The North West Midlands has become the fourth Next Generation Testing (NGT) network to go live as the roll-out of this modern, flexible service continues across the country. From 1 April 2015, we’ll be introducing a simpler, more consistent headlamp standard that aligns the headlamp aim test with the 2010/48/EU and 2014/45/EU directives. 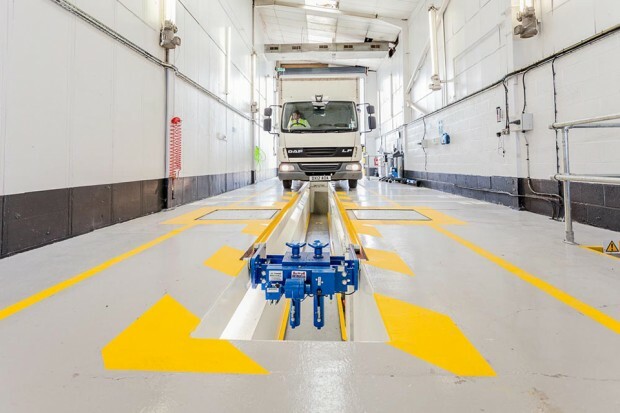 DVSA has improved the service it provides to Authorised Testing Facilities (ATFs) and on Monday 9 March 2015, the new arrangements formally went live for those operating in the Next Generation Testing pilot area in South Wales and Herefordshire. The Department for Transport has published 2 consultations on GOV.UK and is seeking your views. These consultations cover Goods Vehicle Operator Licensing exemptions and HGV (Heavy Goods Vehicles) periodic testing and inspections exemptions. Earlier this year, DVSA completed a major review of test times for heavy vehicles, to help make test scheduling more efficient. There are only 6 weeks left before multi-stage build trucks and special type vehicles and trailers must be type-approved before they can be registered to use on the road. We advise our customers to make sure any new vehicle has a type approval certificate before you buy. All exhausts are tested for security, leaks, effectiveness of the silencers and to make sure that fumes do not enter the cab. However, when it comes to buses and coaches a few extra items need to be considered to avoid failing the test. The Department for Transport wants your suggestions about changes to roadworthiness tests for classic vehicles. Do you think that classic vehicles should be exempt? What criteria should be used? Before you take a commercial vehicle for its annual test, you must have a plating certificate – also known as a ministry plate – that shows the permitted axle and gross vehicle weights.